I got two great events tomorrow that is why I can't wait for the weekend to come. I'm thankful both are situated just 15 minutes away from each other. The second one I'm covering is the Great British Festival organized by British Embassy of Manila. I really enjoy being part of gatherings of different embassies and consulates in the Philippines. It is like I learn of their culture right here. For the past years I have covered and attended: Instituto Cervantes de Manila, a language school of Spain, French Film Festival's exclusive screening for the media and Goethe-Institut Philippinen', a language training center of Germany. I will be joining the rest of invited press, media and bloggers to feature the opening night of Great British Festival 2016. 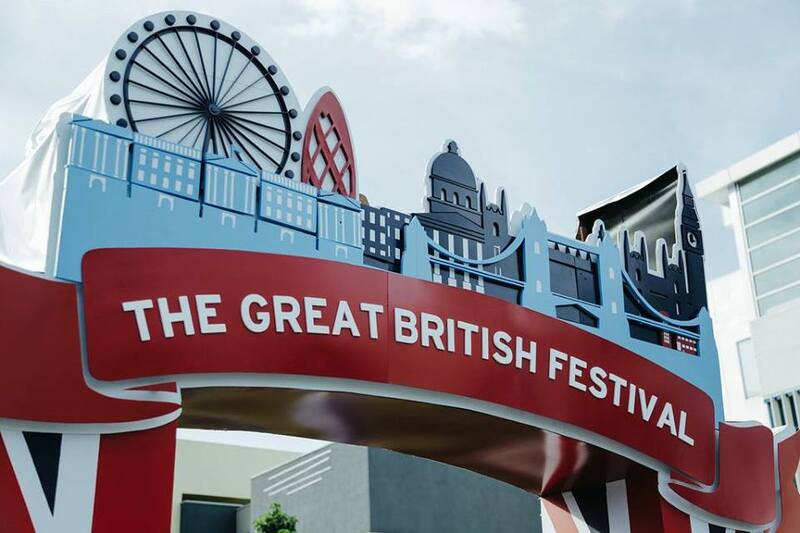 Experience the best of Britain once more at the #GreatBritishFestival on 26 to 28 February at Bonifacio High Street, Bonifacio Global City! Enjoy a British-style weekend outdoors with your friends, officemates and family for another truly great time. Get closer to Britain by completing a festival passport by visiting participating booths, catching activities at the Shakespeare Pavilion or entering the Etihad Airways social media contest. Join one or all for better chances of winning round trip tickets to the UK courtesy of Etihad Airways! Check out food, fashion, cars and other great displays of British excellence that will occupy the entire stretch of Bonifacio High Street in BGC. British creativity meets Filipino talent at the Main Stage, with electrifying performances from the award-winning a capella group Los Cantantes de Manila, Rockaoke contest finalists and other musical acts. Meanwhile, fashionistas can catch the latest summer trends on opening night, at the fashion show with top British brands directed by Robby Carmona. Chat with British alumni at the Education Pavilion and see how a British education can be a life-changing experience. Sample the delectable assortment of British food and drink while watching family films with your loved ones. Take your friends on an Escape Hunt mystery game and channel your inner Sherlock. Check out the newest additions at UK in Miniature like Giant’s Causeway and Stratford-upon-Avon. Join kid-friendly activities like the magic show, face painting and musical numbers by talented British School Manila students. British Ambassador Asif Ahmad is inviting everyone to join the three-day celebration. “Since we started our GREAT campaign three years ago, we have had positive feedback from Filipinos. A record number have come to the Festival. More successful visa applications by tourists. We want to see more Pinoys choosing to study in the UK too. The British Festival offers a small taste of all the great things that Britain offers. Join me and my Embassy team as we bring you a bigger and better British experience in Manila.” Admission to the British Festival is free. “This event will be our biggest yet, involving over 70 companies with links to the UK. We’ve made sure there is something for everyone to enjoy. You’re all invited to join the festivities and see why the UK is a great place to visit, study and do business,” said Ambassador Ahmad. Organised by the British Embassy and its partners, the third British Festival in Manila will be an even greater showcase of the creativity, innovation, culture, heritage and knowledge that spell Britain’s success in fashion, music, sport, education and design. For more information, like and follow the British Embassy Manila on Facebook, Twitter and Instagram. See you guys there! By Sunday I am off to a one whole - day tour to Corregidor with groups of bloggers.